If you are considering living abroad during your retirement years the ultimate question remains the same — Will you have enough retirement income to live comfortably? Many soon-to-be retirees are starting to look at retiring to other countries. The lower cost of living in many foreign countries can have significant appeal if you are trying to stretch your retirement savings. 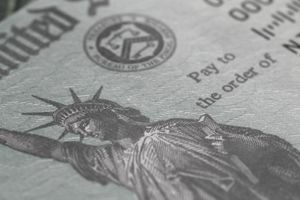 If you are considering living abroad as a U.S. citizen or resident alien (green card holder), you need to make sure you understand the financial and tax basics for U.S. taxpayers living overseas. You can choose to have your Social Security checks sent to the foreign country, or deposited in a U.S. based account that you have maintained. But there are some countries where you cannot receive Social Security payments and someplace additional restrictions on non-citizens. Therefore, it is important to always do your homework in advance. Social Security Administration provides a helpful publication explaining the rules for receiving benefits while outside the United States (note: non-U.S. citizens will need to pay close attention to the conditions to receive benefits). Additionally, this Payments Abroad Screening Tool will help you find out if your retirement, disability, or survivor’s payments will continue indefinitely, stop after six consecutive calendar months, or if certain country-specific restrictions apply. The IRS still follows you around even if you’re retired abroad. You’ll file a U.S. tax return every year, and you may even be required to file a state tax return. This is especially important to realize if you still maintain a property in the U.S. or have rental income. The paper trail continues as you will also need to report any non U.S. bank and securities accounts annually to the Treasury Department. In general, deductions and credits can sometimes soften or eliminate the impact of foreign taxes paid.